Vitamin D has garnered increasing attention for its potential role in preventing depression or ameliorating depressive symptoms. 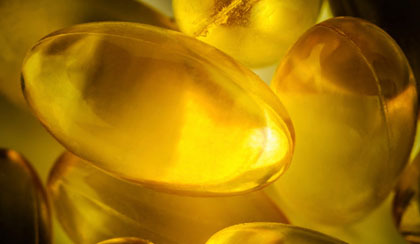 For example, low levels of vitamin D have been associated with depressive symptoms of psychotic disorders,1 suicidality,2 post-stroke and late-life depression,3,4 and depression in patients with chronic heart failure.5 Vitamin D supplementation has been found helpful in improving depression in postpartum women,6 and in other populations. The authors stated that the “numerous cross-sectional studies reported in the last decade have generated contrasting findings.” Some studies found that lower 25-hydroxyvitamin D (25[OH]D) levels were associated with greater depression severity, while others found no evidence linking the two. One reason for the divergence in these findings is that some studies failed to consider other potential explanations and confounding factors for the association—for example, depressed individuals may spend less time outdoors, be less physically active, and may have decreased appetite, all of which can contribute to lower levels of vitamin D. However, some cross-sectional community studies have evaluated and rejected any potential role for these lifestyle factors.8-10 Another drawback of these studies is that many that reported a positive association between vitamin D deficiency and depression focused on elderly rather than younger samples. The key problem with cross-sectional studies, the authors pointed out, is that “any clarification of causality requires a longitudinal design.” Thus, although cross-sectional designs do allow for an association between two variables (eg, vitamin D and depression), they do not specify which is the cause and which is the effect. Close more info about Is Vitamin D Effective in Managing Depression?